Final Fantasy Type-0 HD and Final Fantasy XV might be tearing up the headlines these days, so it's easy forget that there is already a gorgeous Final Fantasy game more closely tapping into the series' roots that is about to get a whole lot bigger. 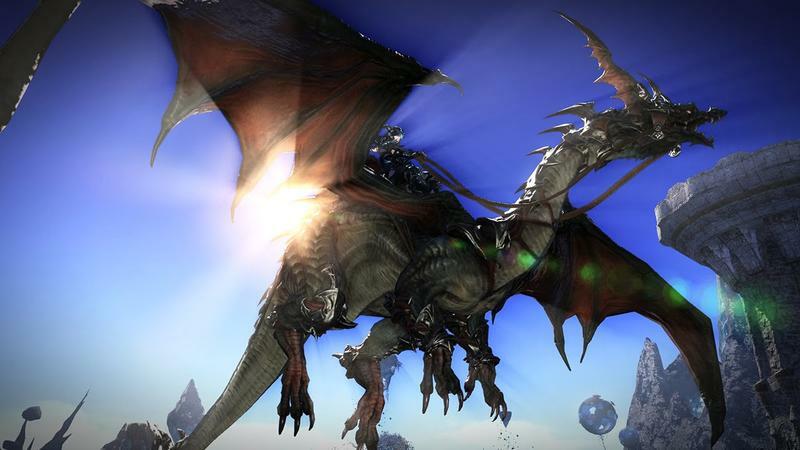 Final Fantasy XIV: A Realm Reborn's first major expansion, "Heavensward," launches on June 23. A new trailer from PAX East explains through its imagery why this is the Final Fantasy MMO that fans deserve. Gone are the candy coated forests and brightly lit deserts of the basic game. "Heavensward" takes your customized avatar into the bitter cold reaches of the far north, and everything about this region screams of chills that hit straight to the bone. Icicles, misty mountains, jagged rocks, frosty dragons, and unwelcoming gray cities: "The North remembers," indeed. Even the mounts, both land-runners and aerial types, seem to sport an extra layer of fatty and furry protection from the elements. If the vile cold becomes too much for your Warrior of Light though, never fear. He or she can always easily hightail it to the recently added Gold Saucer for some mini game fun! Hopefully it has the heater on full blast. Final Fantasy XIV: A Realm Reborn's expansion "Heavensward" launches on June 23 for the PlayStation 3, PlayStation 4 and PC.